Agile Startups – How Do Lithuanians Do It? Both Agile and Startups are terms that have gained massive buzz in the business world over the last years. However, the idea of them mixing with each other has come up only recently. Startups that have been traditionally visualized as messy and uncoordinated have taken up a method that requires teamwork, planning efforts and timed delivery. Some are still struggling with this idea so we thought why not go ahead and ask startups themselves about their experiences? Eight of Lithuanian startups have answered our call and shared their ups and downs using Agile methods. Here are their experiences and thoughts. The team behind a field service management and time tracking software Mobile Worker has started using scrum in 2013. They have found the rules to be tough to follow and have decided not practice the routine of a daily standup due to team members being in different locations. However, they instead decided to focus on the benefits that scrum has brought them – they are now able to plan better, evaluate the final product immediately and quickly adjust the course of action depending on the necessary updates and improvements. A 3D model marketplace founders at CGTrader have started using scrum in the summer of last year. They have done so looking to have clearer planning and allocation of tasks as well as overall control of productivity. While they have achieved their goals and find it that tasks get completed more quickly, they still struggle evaluating tasks accurately. The team members often overshoot estimating their ability and this results in project being behind the delivery date. The open mobile payment network WoraPay has actually started using both scrum and kanban from the very first day. The biggest difference from other methods they mention is time allocation. 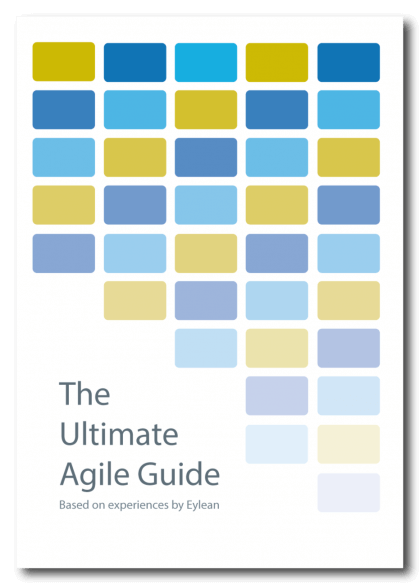 Agile practices have forced them to spend more time in talking about the project and the progress than they were used to, however the time of actually completing the tasks has gone down. They find the new open communication and flexibility to be great for their team and process. OppSites, founders of a cities and investment community marketplace have been practicing scrum for more than a year now. They find the method to be challenging in quite a few ways – price, planning, accountability and motivation, however it allows them to roll out beta versions quicker and that is what matters to the team at the end of the day. They point out that scrum is a great method to use to test out new products before investing all of the available assets. The team behind a flipped job search engine JobRely has been using scrum for 2 years now. This particular method has helped them to integrate developers quicker and to ship code more effectively, while having a clear process and identifying bottlenecks. However, the team feels like they still lack knowledge and experience in dealing with unplanned tasks. As a result of that, handling large projects proves to be difficult and requires more resources than ideally desired. An international money transfer service startup TransferGo has started using scrum in the spring of 2014. They especially enjoy being able to manage several projects at the same time based on their importance as well as being able to involve all the team members in planning, overlooking and completing of the tasks. The planning part, however, is sometimes difficult because keeping all the team members equally interested and dedicated to the process at all times is not easy. The team of home design and interior décor tool Planner 5D has been using a kanban board and standup meetings since 2014. For them the decision to adopt a particular method was a more conscious one, they believed this would suggest a more together and trustworthy team for the future investors. While they do like the clarity this method has brought in, they have found that some of the employees started focusing solely on their own tasks and grew disinterested in the meetings discussing the progress of the overall project. A b2b outsourcing platform startup Aciety has started using scrum and kanban this year. They have quickly noticed that the methods require closer collaboration from the team members than they were used to. However, as a result, they enjoyed better and faster planning process, flexibility and quick evaluation of the decisions effectiveness. The team has also started testing their own product and researching valuable information which they have never previously done. Looking at the experiences of these startups, it is easy to notice that their adoption of Agile is very similar to any other established company out there. They enjoy the same benefits and struggle with similar problems bringing in a whole new way of organizing their work. In fact, looking at the numbers, they represent the agile trends of 2015 almost exactly. With the majority of starting using agile 2-3 year ago and the majority choosing scrum over kanban.